Table 1 lists the features and benefits of the Cisco Unified IP Conference Phone 8831. ● 160 Hz to 20 kHz, +/-3 dB. ● The latest in wideband codecs for maximum voice bandwidth. ● Enhanced speech quality and speaker recognition. 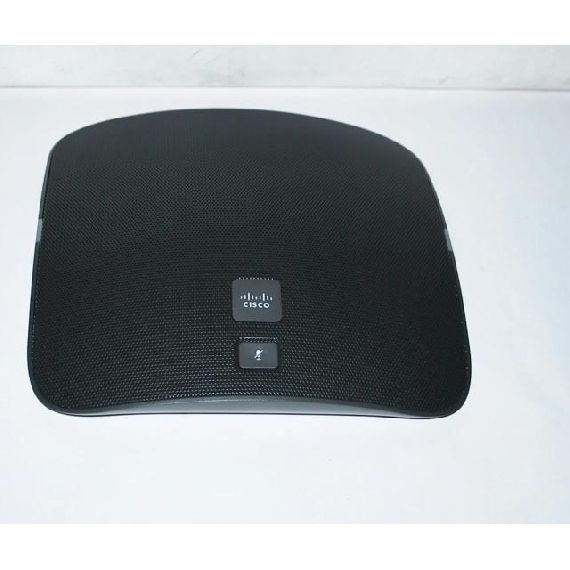 ● 160-degrees conical pattern provides even coverage of listening area. ● Four Hemi-Cardioid microphones are perfectly spaced so that they combine to provide a 180-degree pick-up pattern around the device. Speech is captured at the same level at all points around the Cisco Unified IP Conference Phone 8831. ● Ability to grow to fit a variety of room needs. 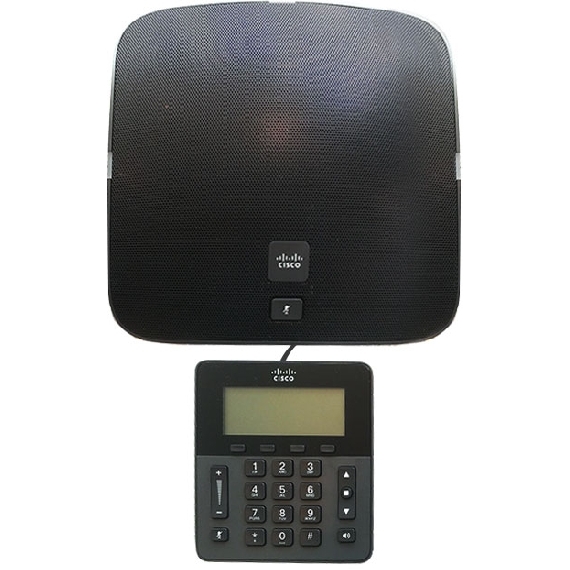 This microphone extends the operational range of the Cisco Unified IP Conference Phone 8831 with even coverage around the periphery of the device with 7 feet of additional reach. DECT wireless microphone for the Cisco Unified IP Conference Phone 8831 provides additional coverage with the added flexibility of 300 feet of range. Local power supply is not required. This power cube uses a standard Cisco Unified IP Phone Power Supply for non-Power over Ethernet (PoE) deployments. It is required for daisy chaining two units together. The phone supports Cisco Unified Communications Manager (Cisco UCM) Releases 8.5(1), 8.6(2), 9.0, and later. The phone is supported on the Cisco Business Edition 3000 Releases 8.6(1) and later. The phone is supported on the Cisco Business Edition 6000 Releases 8.6(5) and later. The phone is supported with CME 10.0 and above. On IOS 15.4(1)T and later with Fast Track Support. The phone is supported with 8.6(2) and later (using supported UCM versions above).